Wait, this is a consumer electronics show? 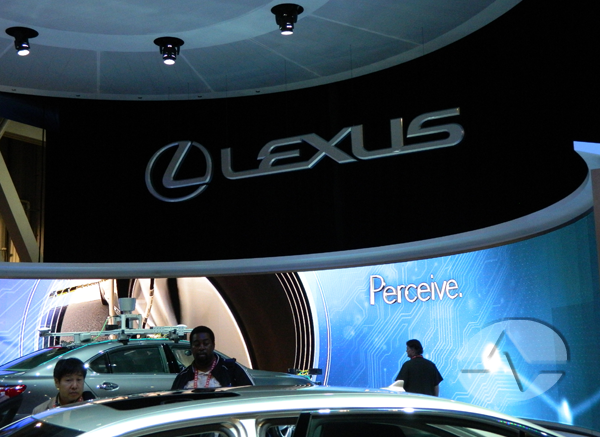 Today we spent a lot of time in the North Hall of the Las Vegas Convention Center, where it looked more like a car show than a consumer electronics show. 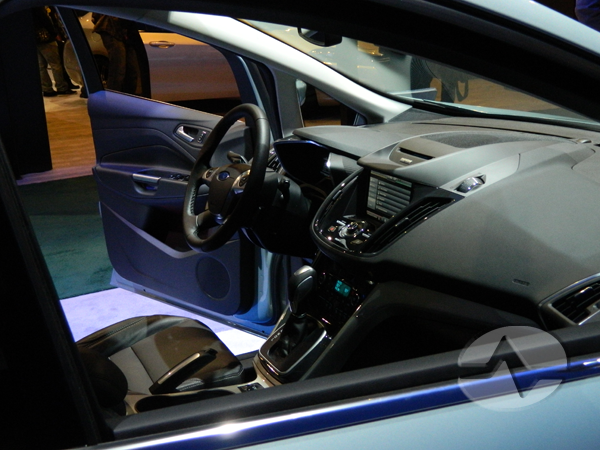 In-car systems were everywhere, and the major manufacturers were all on hand to show their latest and greatest. 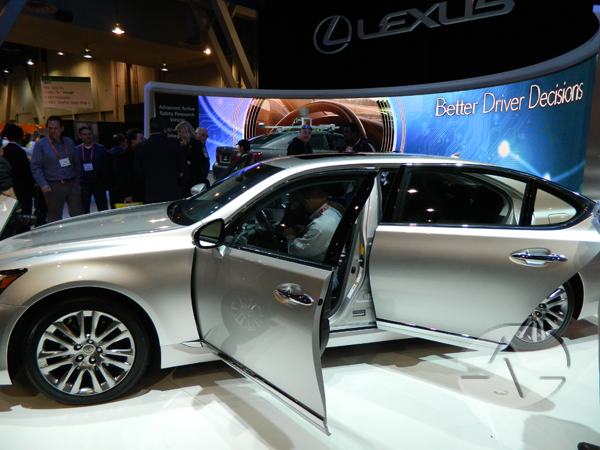 Lexus showed off its wares and tried to convince us that the reason to have flashy, distracting displays in a car is to improve safety. Well, there’s something to be said for having the displays be larger so you don’t have to look away as fast, and we’ll admit, they’re not “that” flashy but still, that seemed like a stretch. 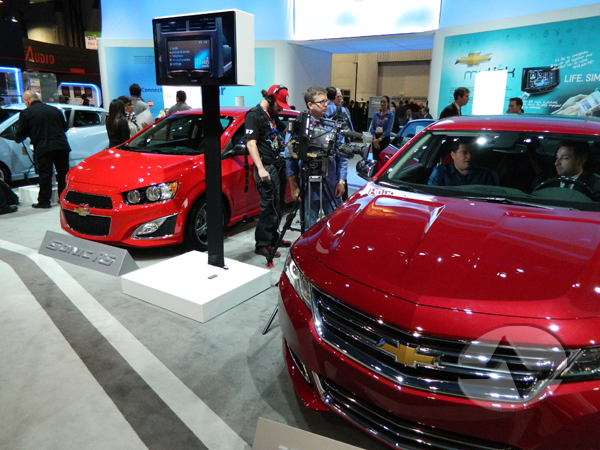 Chevrolet had a big booth filled with its latest electric and hybrid vehicles. 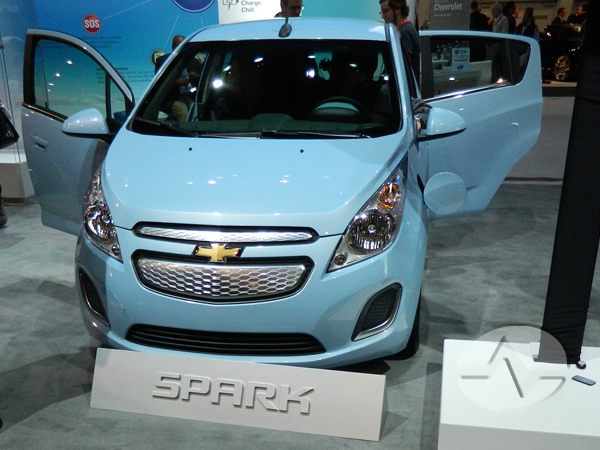 We’re big fans of the Volt but we’re not sure that the Spark EV is really what the market wants or need. This little plug-in-only (pictured above in blue) doesn’t have enough range to make us comfortable and its tiny size certainly doesn’t help. 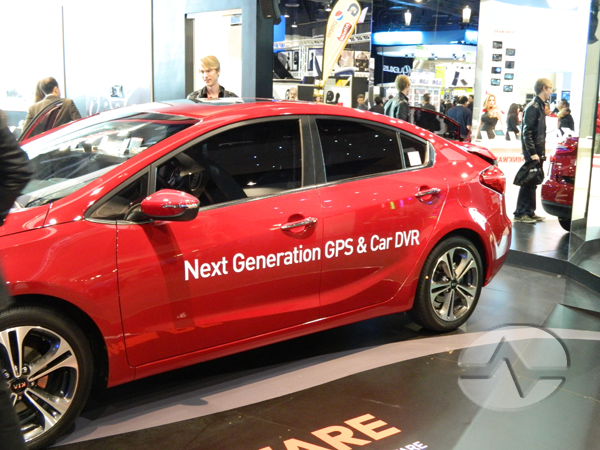 Several aftermarket vendors were showing “Car DVR” systems, but it was hard to figure out what was being shown. In most cases they meant real-time recording, sort of like what the local police have. It’s hard to know how this would really help on a daily basis. However, other vendors were using the same term to apply to a system that records your radio (even scheduling programs) and stores your content for playback. This makes a lot more sense. It was hard to get a glimpse but several manufacturers were showing in-car mobile DTV systems so you can once again watch live TV in your car. Of course, you shouldn’t do this as the driver; most of these were geared toward passenger entertainment. No doubt, car manufacturers see consumer electronics as a big part of their appeal, but no major manufacturer was talking about upgradeability. Your car will last you on average 7 years, during which time you will have had 3 cell phones and probably upgraded your TV and home theatre. How are you going to feel about today’s latest and greatest in-car tech when next year’s looks even better?